When it comes to brand promotion and lead generation on social media websites, brands usually focus on Facebook, Instagram, and Twitter. On the other hand, Pinterest is unfairly overlooked. With more than 150 million active monthly users and bearing in mind that 84% of them access their account on multiple devices, Pinterest is a powerful marketing tool that can generate leads and turn them into customers. In order to experience these benefits, you just have to know what to do. Here are some useful tips and tricks to use Pinterest for lead generation. Pinterest isn’t just for boards featuring hairstyles, outfits, food, or wedding inspiration. You can pin interesting posts about anything and everything. If your brand isn’t associated with terms mentioned in the first sentence of this section, don’t worry. Show Pinterest users how they can put your products or services to a good use and they’ll love it. After all, Pinterest is all about being practical and offering useful tips and tricks to people. Take a few moments to come up with a board that will feature helpful content, which is highly likely to generate leads. Once people know how to use your product/services or they realize how helpful and thoughtful your brand is, they’re more likely to turn into leads and later, customers. Coupons are the hottest trend on Pinterest or anywhere else for that matter. Regardless of the social media platform, people like when they have an opportunity to purchase something at a lower price. Coupons are easy to make and you can run them directly from the company’s official website, but you can also use a third-party coupon application which can be even more practical. How? These third-party coupon applications also feature different marketing tools, email database, and real-time coupon campaign analysis. Pinterest users like to pin coupons and their followers can easily spot and re-pin them. That way, you’re reaching more people, generating more leads. For the maximum effect, ensure that coupon pin link navigates directly to the special offer or product page on your website. Don’t forget that influencer marketing campaigns can turn into a huge success even through Pinterest. While Facebook and Instagram are widely used for this purpose, you shouldn’t undermine the power and influence of the world’s catalog of ideas. How to use Pinterest for influencer campaigns? You can open a board to one or more influencers and allow them to pin there. For example, you can create a guest board and invite an influencer to make his/her contribution by pinning posts in it. These boards introduce new content to your Pinterest profile, reaches more people, and you’ll get more followers. All these factors are necessary for lead generation. A practical way to connect with current followers and get new ones on Pinterest is to host a contest. It is needless to mention this, automatically, generates more leads. Similarly to coupons, you can organize contests on the official website if your goal is to generate more traffic at the same time. Bear in mind you can launch one of these contests directly from Pinterest too, just make sure they are easy to participate in, feature great visual appeal and mobile friendly. Promote your contest on other social media networks to get as many participants as possible. 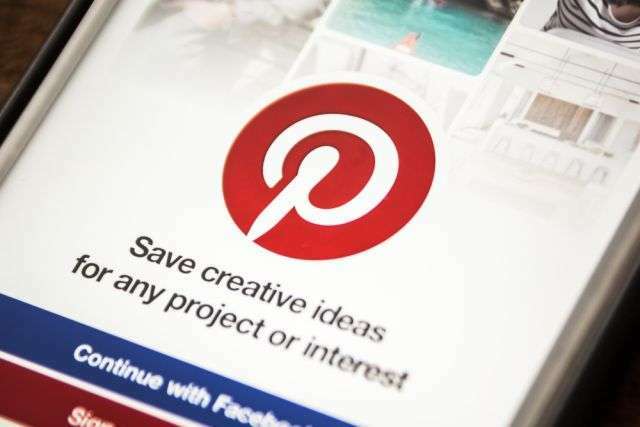 If you want to connect with social media influencers on Pinterest you can do so by tagging them in your pins. This is particularly useful if you’re still looking to establish a relationship or collaboration with an influencer. For example, you can share their content or something related to posts they usually pin. Don’t tag influencers to pin that aren’t related to their content because it may come across as spam. Make sure you pin content and different influencers. Plus, Pinterest users like to see pins that come from different places, not just promotional stuff. The chances are high influencers can reciprocate, thus sending more followers and leads your way. Pinterest is a useful tool to promote your brand and generate more leads and this article showed you easy ways to make it happen. Remember, it’s all about pinning useful and practical content and images that are easily noticeable.